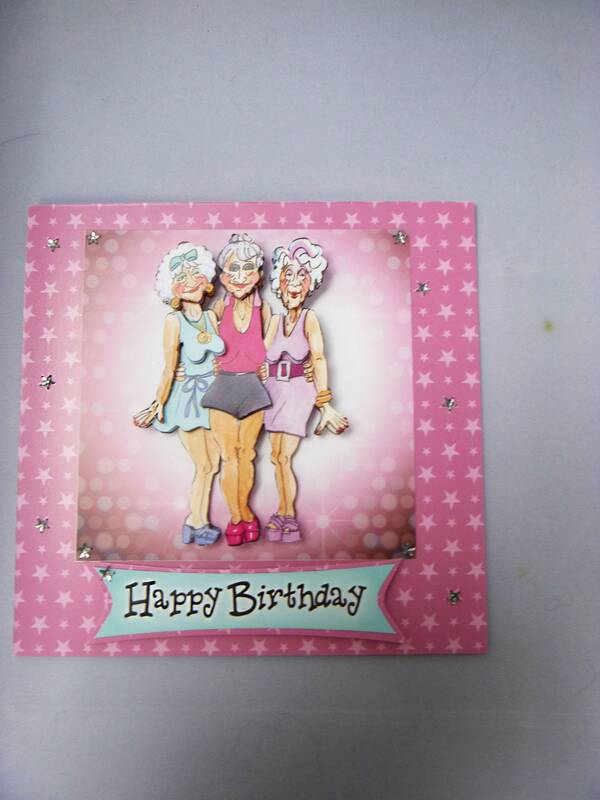 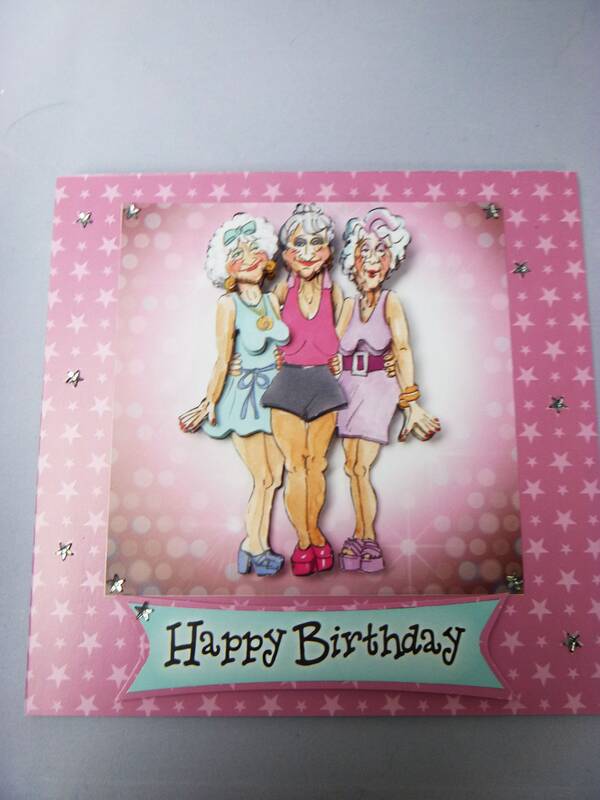 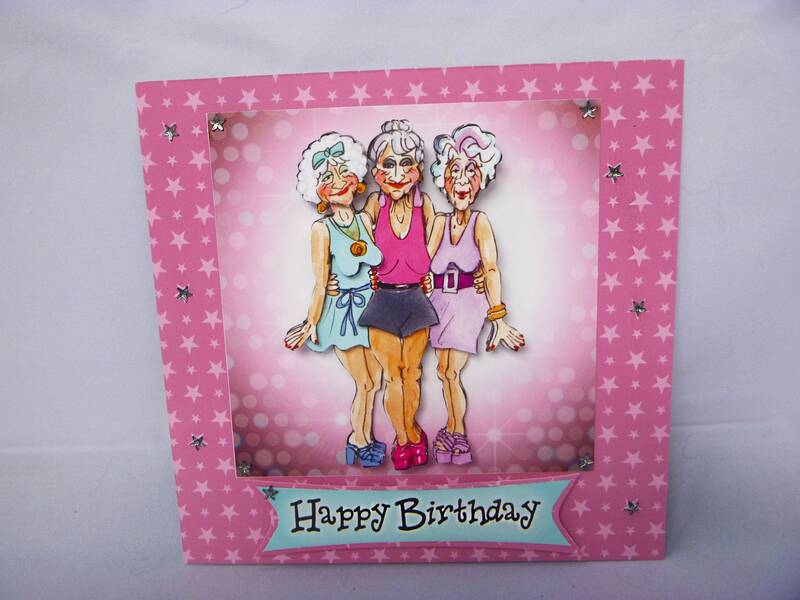 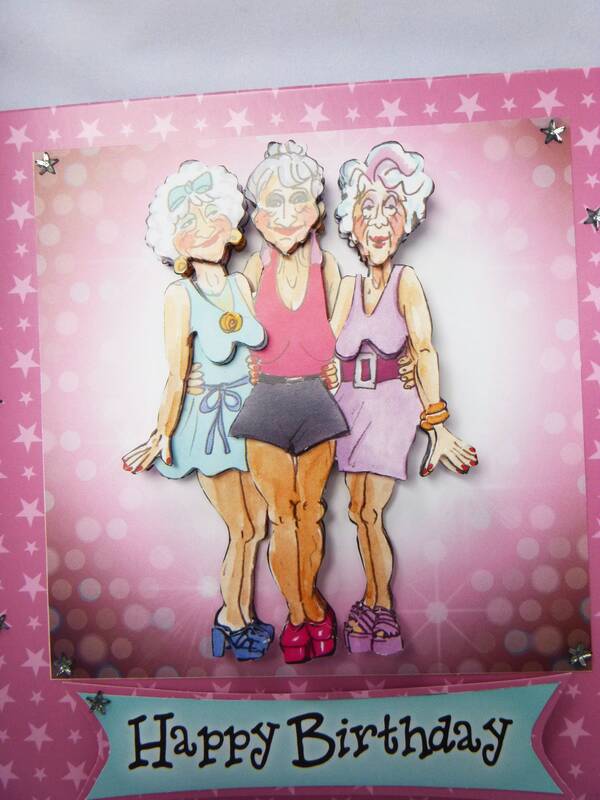 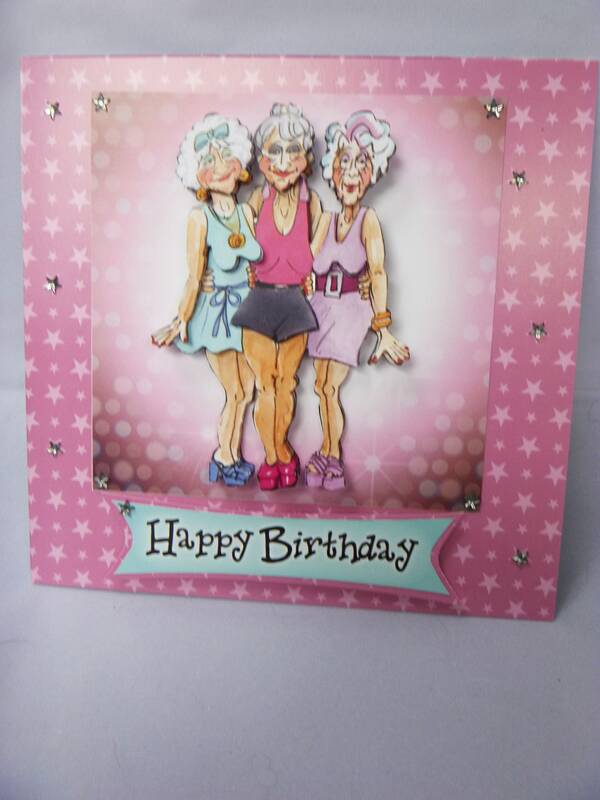 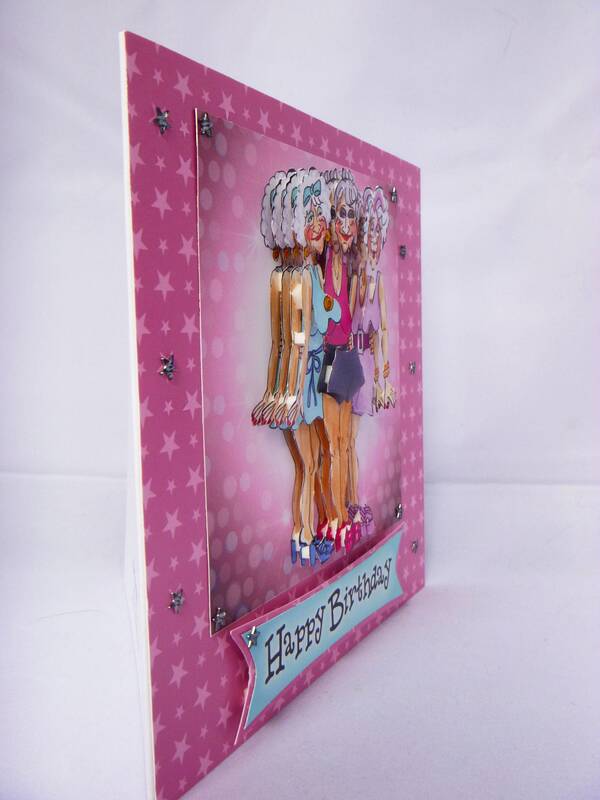 A 3D decoupage card of 3 old girls ready to party, made from white card, layered in pink star card, with a large topper in the centre of the card, with the decoupage in the centre, a sentiment at the bottom saying, 'Happy Birthday'. 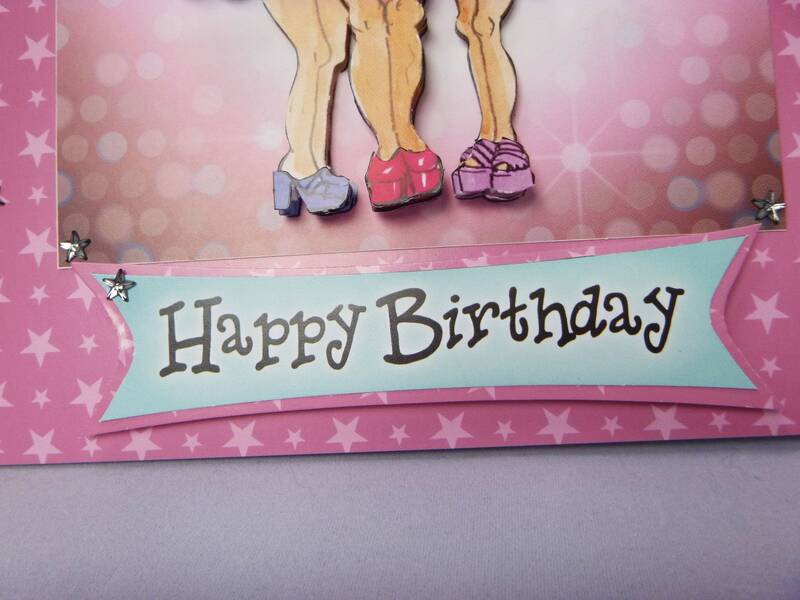 star embellishments are placed around the card. 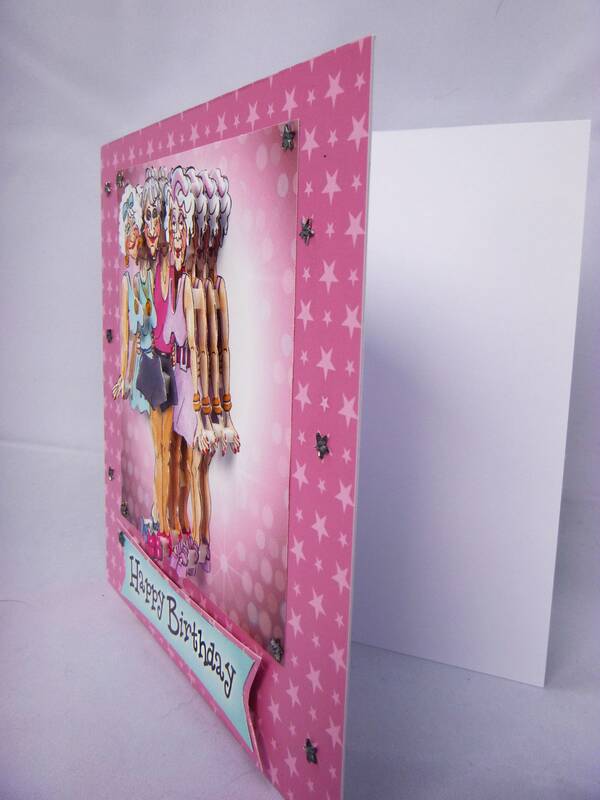 Inside the card is white insert paper for you to write your own private message.